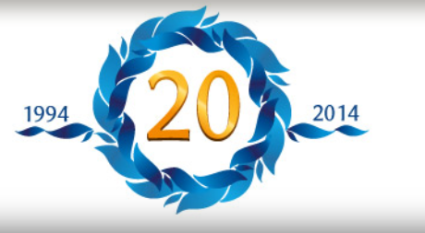 It’s time to celebrate our 20th Anniversary! Pabst Park Neighborhood Association started with an idea 20 years ago presented to a group of citizens at the Kneeland Walker house one hot, steamy August evening. The idea, to create neighborhood associations throughout Wauwatosa. The idea was not new, Seattle and Minneapolis had similar groups in their communities. Mayor Maricollette Walsh and a group called Tosa Tomorrow (smaller version of the Greater Milwaukee Committee) had done the ground work and were looking for individuals to take on the task of developing groups. Eileen Bussler and Linda Nikcevich (then Janis) ran with the idea! A meeting was held at the Wauwatosa Bible Chapel where over 50 people attended. The group nominated a president and board and away the PPNA went! Twenty years later after Summer Picnics, Christmas Concerts, Egg Hunts, TGIFs, Porch Parties and Rummage Sales, we are celebrating that 20 year span at the Rotary Stage a Hart Park. We will celebrate on August 20th, starting at 6pm. Pabst Park neighbors will be gathering on the side near the Children’s Play area. Look for PPNA signs. All neighbors are welcome, even if you are not a member. Come find out why it is great to have an organized neighborhood association in your area and meet some of your neighbors! A fantastic variety of mouthwatering food and refreshing beverages available from Maxie’s, Leff’s, Bel Air Cantina, Metcalfe’s Sentry and more. Please support the Tosa Tonight series and leave your coolers at home.